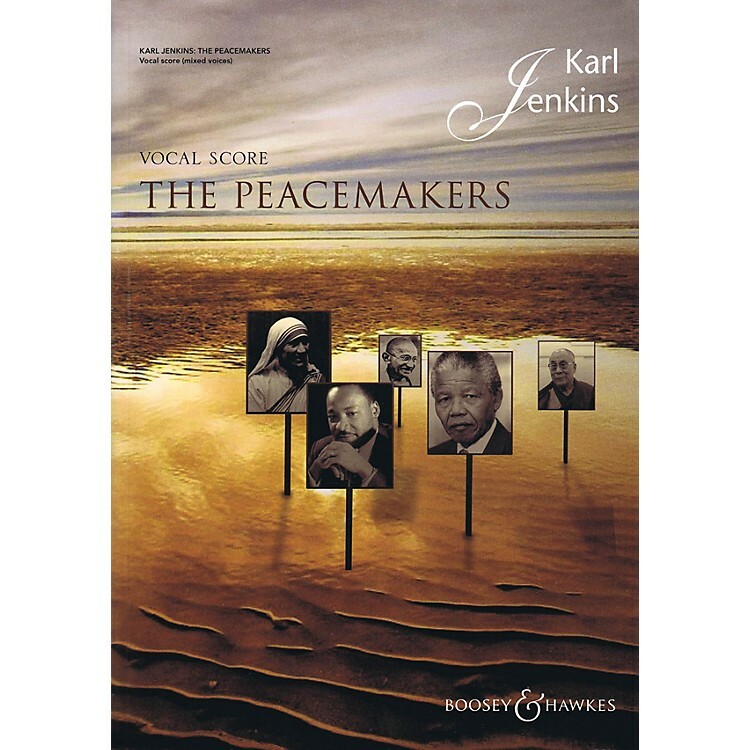 The Peacemakers sets words of peace from iconic, world-changing figures such as Gandhi, Nelson Mandela and Martin Luther King Jr., along with other inspirational quotations of Mother Teresa, Albert Schweitzer, Anne Frank and the Dalai Lama. Also included are religious texts from the Bible, the Qur'an, St. Francis of Assisi and Bahá'u'lláh, and the poetry of Shelley, Malory, Terry Waite and Carol Barratt. One line from the Persian mystic poet Rumi sums up the ethos of the work: All religions, all singing one song: Peace be with you. Scored for soprano solo, SATB chorus, optional SSA chorus, flute, guitar (acoustic, classical or fretless bass), strings and percussion, with optional soprano saxophone, brass, timpani, solo violin and organ/electronic keyboard. English and Latin text, with peace in many languages.